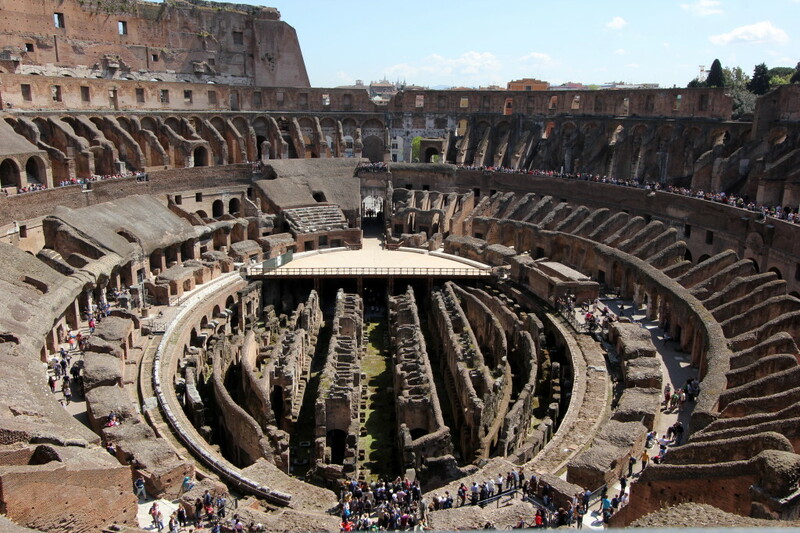 Take the Colosseum Underground and Third Ring Tour! Take the underground and third ring tour at the Colosseum, I cannot stress this enough! Not only are you able to skip the long waiting lines and do you get a guide during the whole experience, but you get the chance to visit the areas which are not open to the general public. Given the chance to stand where the gladiators once stood before they went into battle and perhaps face a certain death, is one you should take. You get a higher point of view from both the inside of the Colosseum but also the surrounding areas including the Forum Novarum. You can, or actually you have to, book your tickets trough calling the official ticket center www.coopculture.it during working hours. Everyday different guided tours are available in English, Spanish and Italian. It costs about 23€ per person: 12€ for admission fee of the Colosseum, 2€ reservation fee and for the tour itself you pay 9€. When arriving at the Colosseum you can just skip the long waiting line and follow the signs for guided tours. You just have to wait shortly in line at the reservation desk where you will receive a sticker that make you part from the group and your entrance tickets which you will also need when visiting the Forum Romanum later on. You walk to the meeting point of the guided tour where you will meet your tour guide shortly. Everyone will receive radios so you can hear the guide clearly during the entire tour. At first you’ll visit the ground floor where you will access the arena floor and stand in the center of the Colosseum itself. You are with a small group of 25 people standing alone with your tour guide and a big space while other are more smashed together. After you will visit the underground part of the tour where once the gladiators rested, the slaves worked and the animals were kept. At last you will go to the upper ring where again only your group has access to and can take panoramic pictures of the inside of the Colosseum. The tour lasts around 90 minutes and it is very informative. You can ask questions and you have enough time to take pictures and look around. All the areas open to the rest of the public are accessible after the tour, although you don’t really need to spend much more time there. I would like to book a tour of colosseum underground and third tier – I will be arriving in Rome 16th August. Hi Frederik, Is the tour free for children (with adults)? Everyone under the age of 18 has free admittance to the Colosseum. Between ages of 18 and 25 from EU you get reduced price.